Walk, Creep, Crawl! Celebrate Halloween by The Bay on October 26 and 31, 2018. 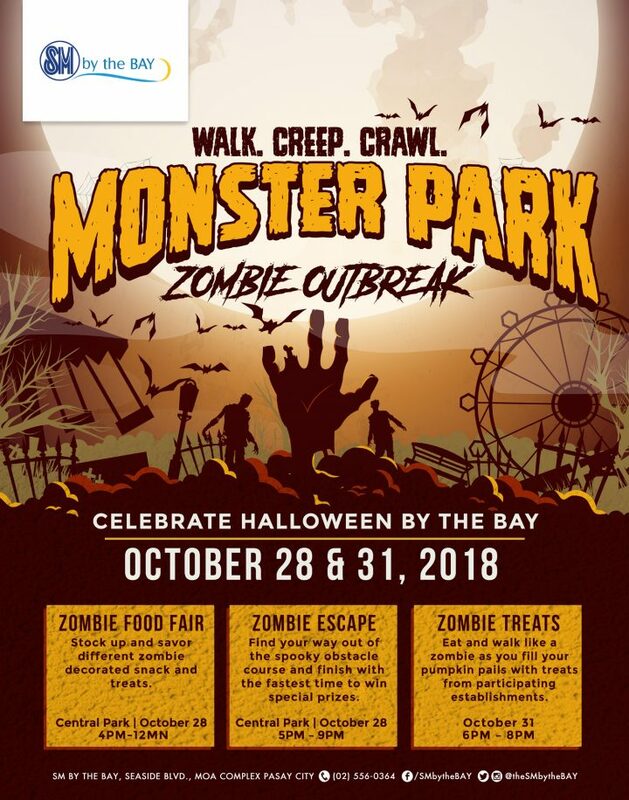 Stock up and savor different zombie decorated snack and treats at the Zombie Food Fair, find your way out of the spooky obstacle course and finish with the fastest time and win special prizes at the Zombie Escape, and eat and walk like zombies as you fill your pumpkin pails with treats from participating establishments.